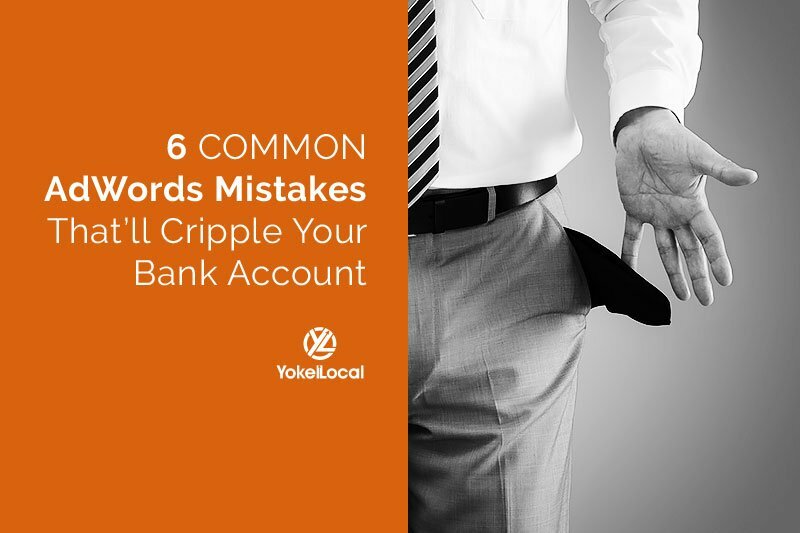 Let’s be honest; Google AdWords can be costly, confusing, and ineffective (often the result of low click-through rates or CTRs) if you’re not quite sure what you’re doing. Below, I discuss the three Google Adwords practices that will help you, the business owner, increase the click-through rate of your ads. Think of fast food restaurants. What do they do to get customers pouring in for the first time? They offer some sort of coupon, highlighting a discounted price. This is where the lifetime buying cycle of the customer comes into play. The new customer that you’ve gained won’t always receive the discounted price, but it does work to get them to your site. Adding a price to your ad headline is more than discounting your product or service. This tactic can also include adding “FREE QUOTE” or “FREE CONSULTATION” if it's something your offer. Many business owners fail to customize the display URL when creating their ads. The display URL is the URL customers see; that will link to your destination. This does not involve making up a URL, but using a relevant keyword in your display that will send your customers to the appropriate page. By using a custom disply URL, you ultimatelu help increase your click-through rate. This third tactic is a bit tricky, yet it’s important. When creating ads, take into consideration the longer search queries your customers will be typing into Google. For example, using one of our clients in the plumbing industry, we found that “no hot water in the shower,” is one of the biggest keywords being searched, Though this is a water heater problem, we can’t assume this is what the customer will be searching. Think about the pain your customer typically experiences concerning your product or service and look at the keywords around those pains. Remember, everyone isn’t as tech savvy as you are when it comes to your product, services or industry. 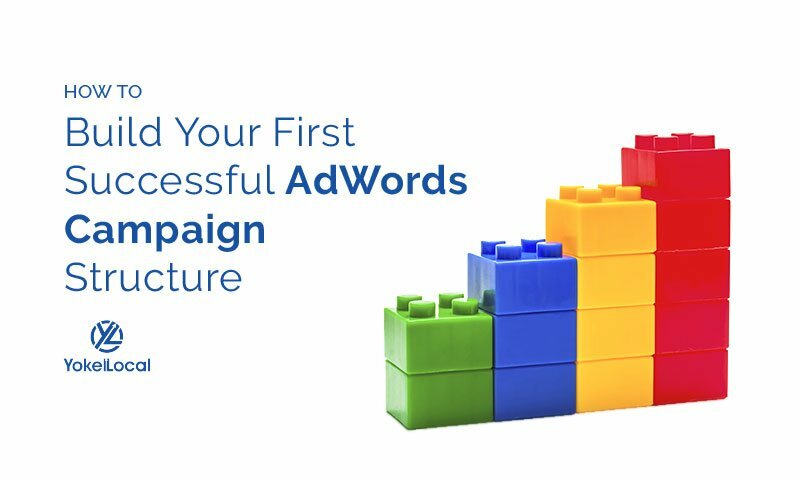 I hope these three strategies prove helpful in increasing your CTRs and the overall success of your Google AdWords campaigns. For more internet marketing insight and tips, subscribe to #AskYokelLocal. 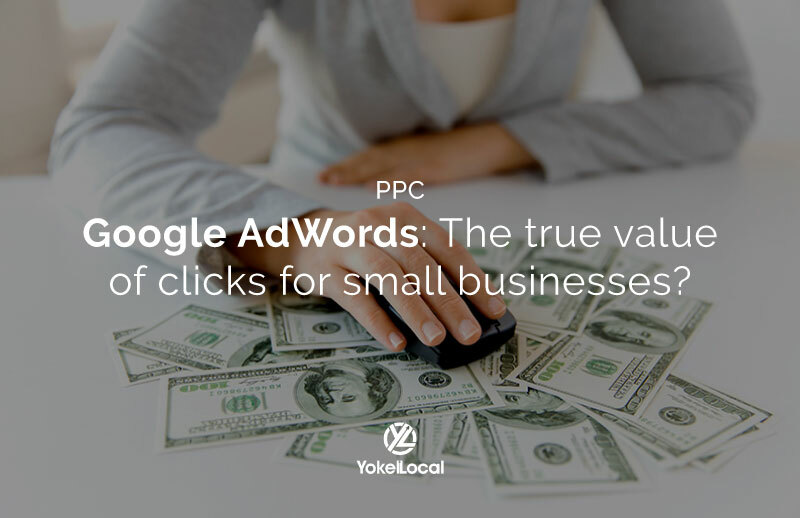 If you're running Google AdWords, and you're looking for some effective ways to increase your click-through rate and get more potential customers over to your website for a cost that you can afford, then stick around. I've got three things for you in today's edition of #AskYokelLocal. Hey everybody, my name is Darrell Evans, Co-founder with Yokel Local Internet Marketing, and in today's edition of #AskYokelLocal, we've gotten a question about how to increase click-through rates. This gentleman was looking at his account and he is not seeing good click-through rates. He actually asked us, "What is a good click-through rate?". And so, we looked at his account, and I'm not going to tell you what it was because, again, it could vary depending on the market, but in our opinion, it just wasn't that good. So, I want to share with you the same three things we shared with him. The first thing was to include a price in your ad headline. So, in his case, he has an offer where he can get someone in the door for $49. Now, he has more services and more products that he would like to sell, but I use the example of Domino's Pizza or Pizza Hut, even. These guys offer $5 pizzas, in some cases, it could be $5, it could be $9, but there's always a coupon of some sort to bring the customer through the front door the first time. 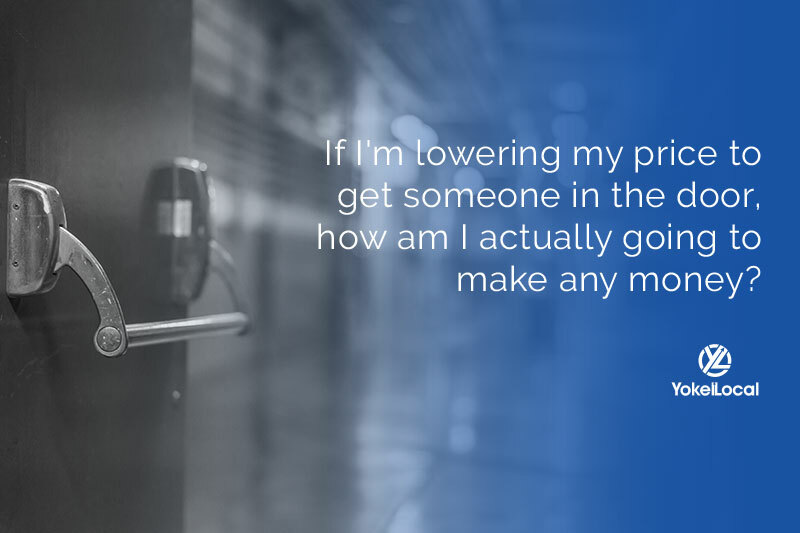 Now, you might be thinking, "Well, if I'm only selling something for $5 or I'm lowering my price to get someone in the door, how am I actually going to make any money if I'm losing money on that initial customer?" This is when we talk about the lifetime buying cycle of a customer. You've got to take that into consideration. But, we're not saying just discount your product and put the price in the headline, but if you've got a free consultation or a free quote of some sort, you might want to consider putting that price right in the headline. So, number two. The next idea is that I don't see enough business owners using the display URL, which is what the customer or the searcher will see, that's different than the destination URL. Now, we're not talking about making up a URL, but when your domain is "xyz.com", you should forward-slash that keyword so that the customer can now see that Google will highlight that keyword phrase and it kind of will bring a match. That will help to increase your click-through rates. Now, we're not, again, saying you should make up a domain. You should use a keyword relative in your display that will send them to the appropriate page on your URL. Now, the last tip is a little tricky, but it's important. You should also be thinking about some of the longer queries that your customer may type in. I've got a perfect example. We have a plumber that we work for in our agency and one of the big keywords that gets searched has to do with no hot water in their shower. Now, that's a water heater problem, right? So, it's a water heater problem, but so often we think that the customer is going to know that it's a water heater. 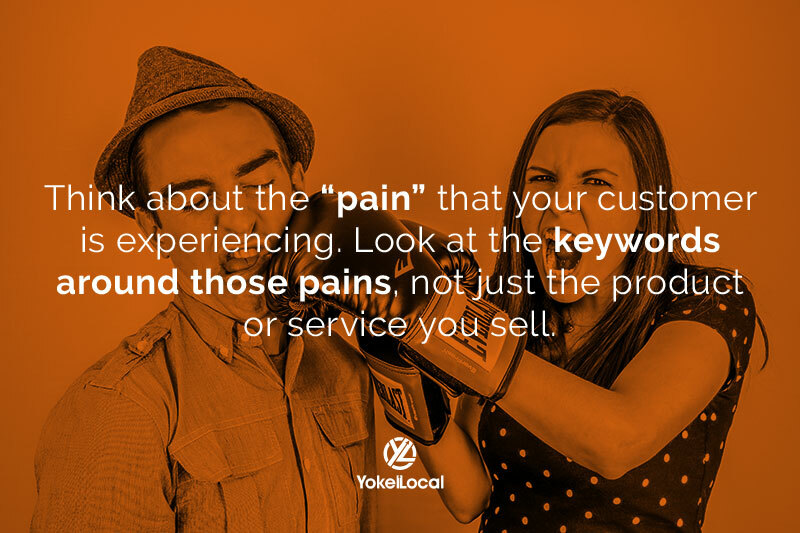 So, maybe what I'm trying to say in this case is, think about the “pain” that your customer is experiencing and look at the keywords around those pains, and not just the product or service you sell. And this comes back to what we talk a lot about in terms of how your buyer's using the Web. They may not be as technically savvy as you. I mean, think about it. In that buyer scenario with the plumber, if I just bought a home, I might not know that a water heater is what causes the water to go up and down. Think about it. So, don't get too caught up with the knowledge of what you do. Think about how your customer will experience the pain that your problem or service solves. So, those are three quick tips I've got for you today in today's edition of #AskYokelLocal. Get those click-through rates up, get your quality scores going up, and your pricing in your AdWords account will start doing a lot better and you'll start making a lot more money. This is Darrell Evans. I'll sign out until next time. Bye-bye.